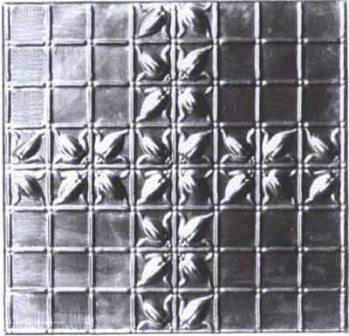 Decorative hand-stamped aluminum ceiling panels are 2 feet wide 6 long. Custom-painting in your choice of colors is available. Additional shipping charges may occur. Contact us for further information. Special Order.